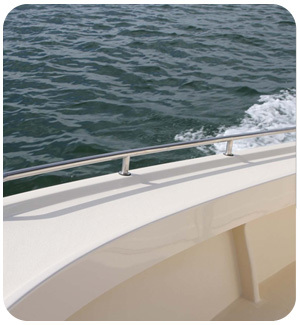 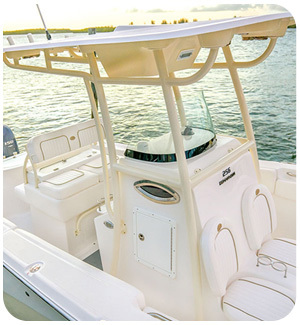 Gain an additional shaded area on your center console boat with quickness and ease. 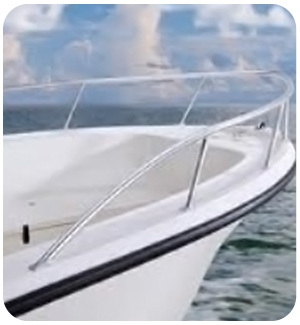 No poles necessary! 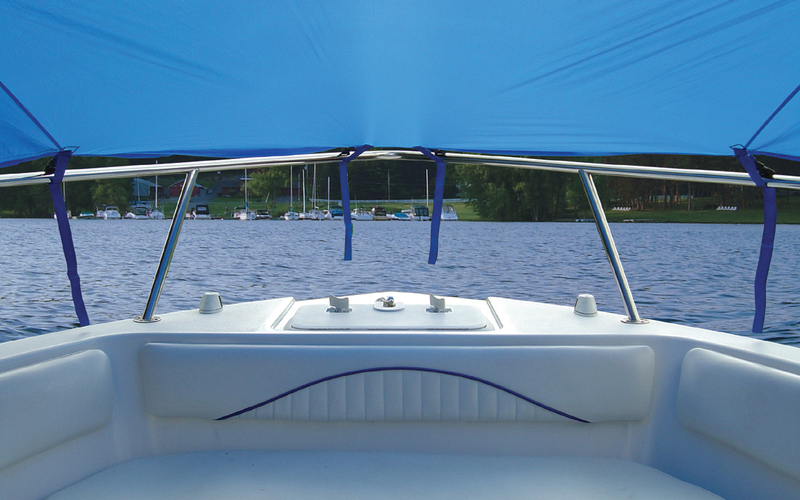 The T-Top Bow Shade is available in sizes that can accommodate boats up to 102″ width, It extends out to 7 ft. of coverage. 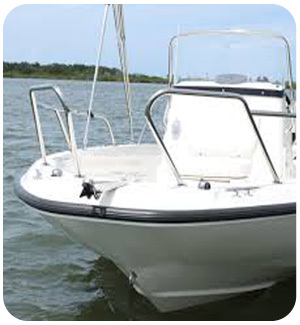 They are constructed from Hot ShotTM marine-grade, polyester fabric, which is strong yet light weight. 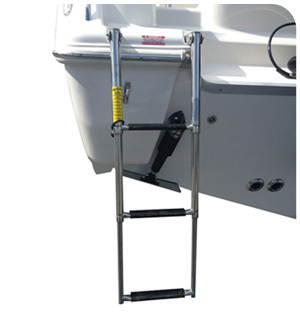 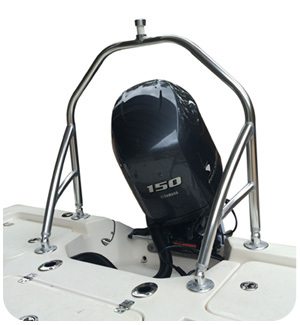 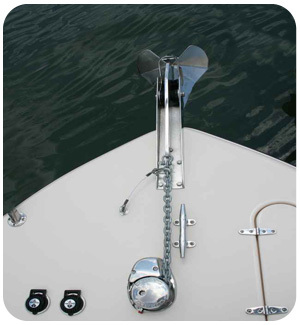 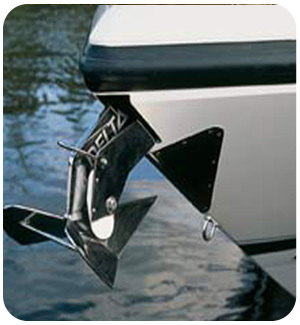 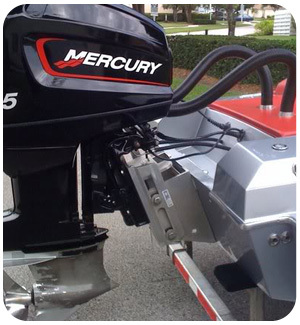 It secures to the T-Top and bow rails with adjustable straps and quick release buckles for quick and easy installation. 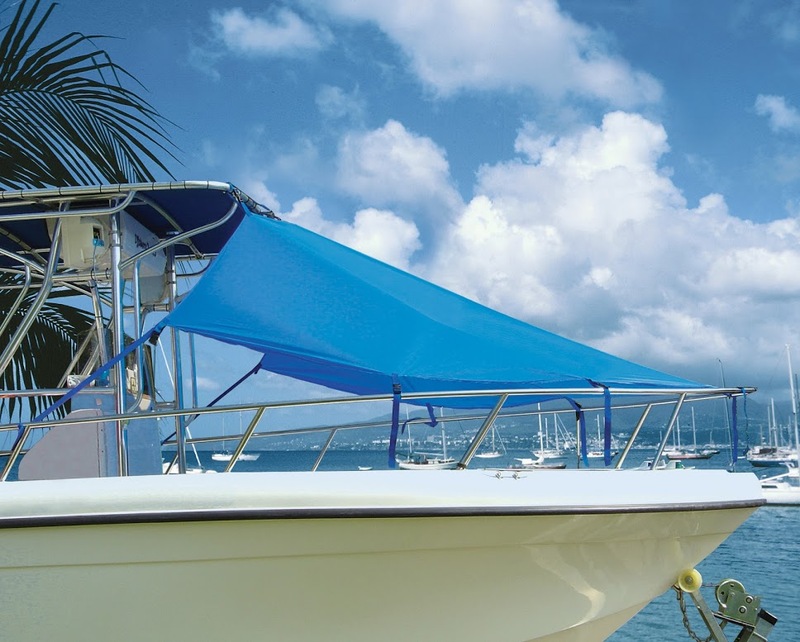 The shade will fold down to a compact size, without taking up too much room, for ease of storage. 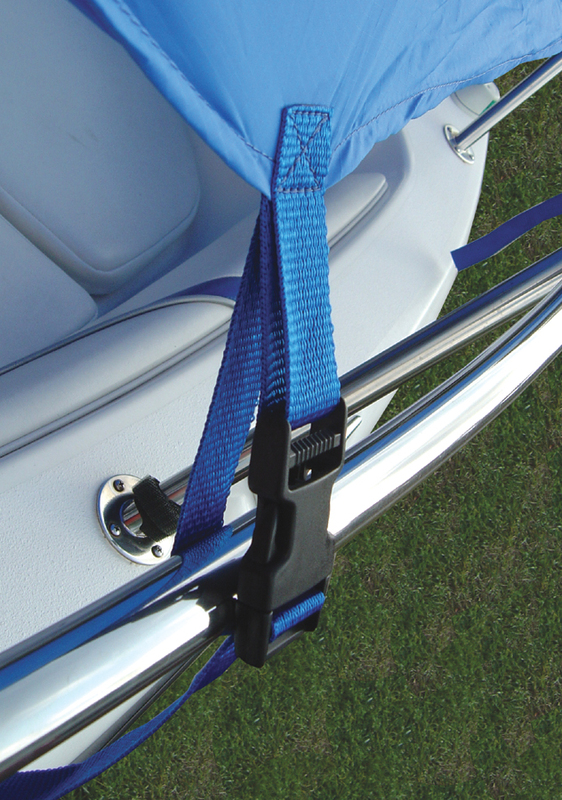 It is available in (9) colors to best match your boat. 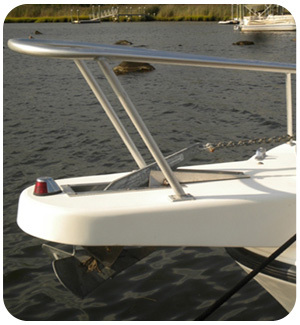 NOTE: NEVER OPERATE BOAT WITH SHADE IN PLACE! 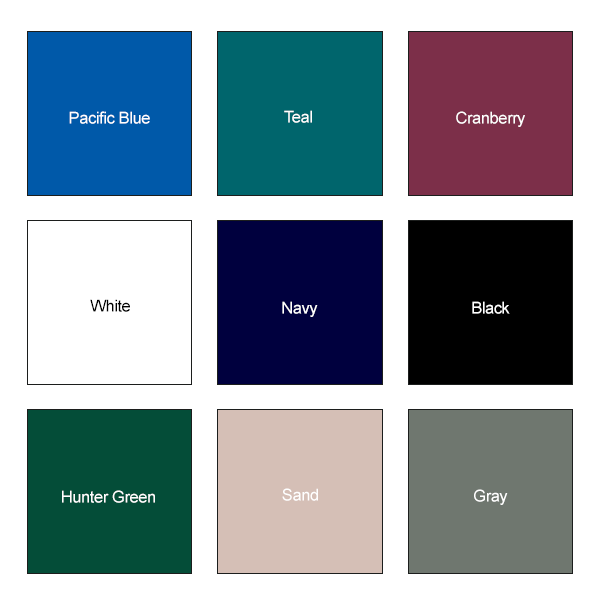 The T-Top Bow Shade Kit is available in 2 sizes, and 9 different colors. 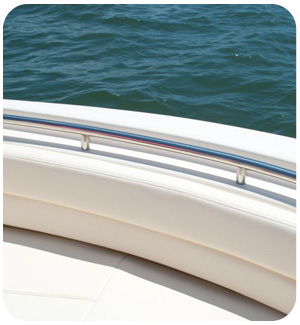 The 9 colors were carefully chosen, to ensure a good match to the colors on your boat. 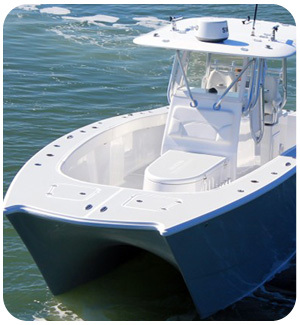 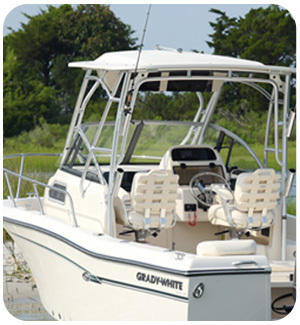 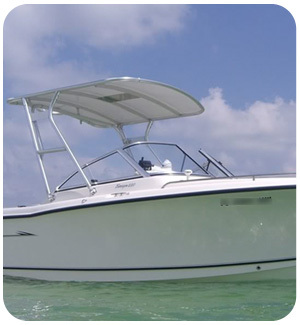 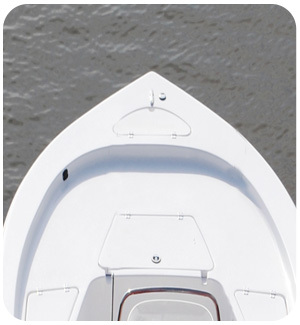 The two sizes fit T-Top boats with center consoles from 17′ to 26′.